“Speech is power to persuade”. 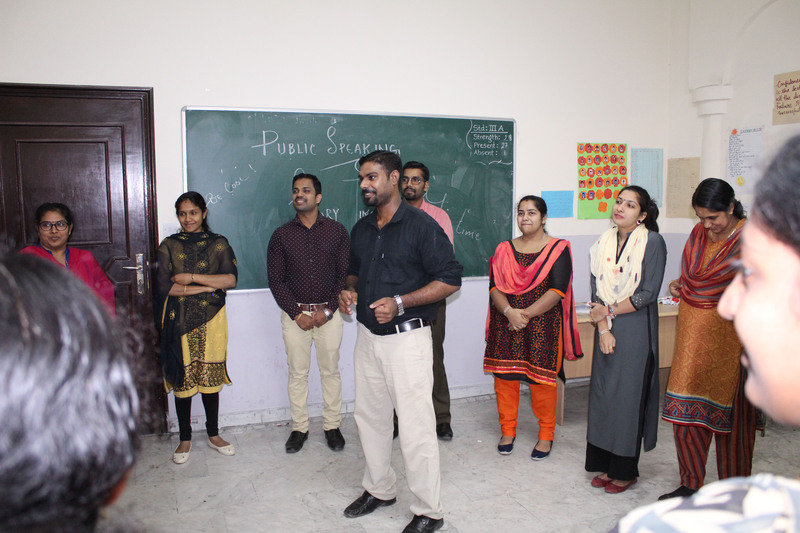 Bhavan’s Public School organized an Interactive Public Speaking Training Session for the teachers on 3rd November 2018. 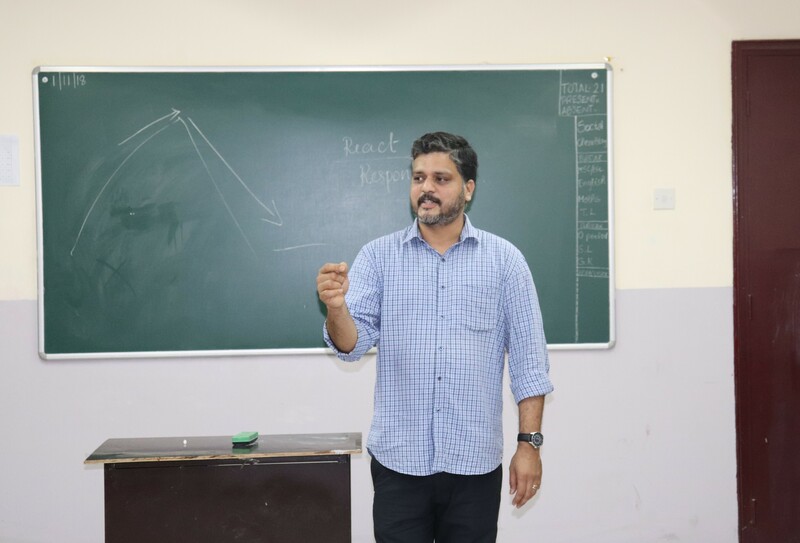 The teachers were divided into two groups .The session had two parts: – ‘Marketing your Product’ and ‘Story Completion’. In the first session: – Marketing your Product, the teachers were asked to choose a product from the box. Each teacher was given two minutes to introduce their company and provide useful information about the product. They had to communicate effectively to convince the benefits of their products. In the Story telling session, the leaders gave a plot for the chain story. Each teacher added a segment to the story using meaningful phrases and expressions. 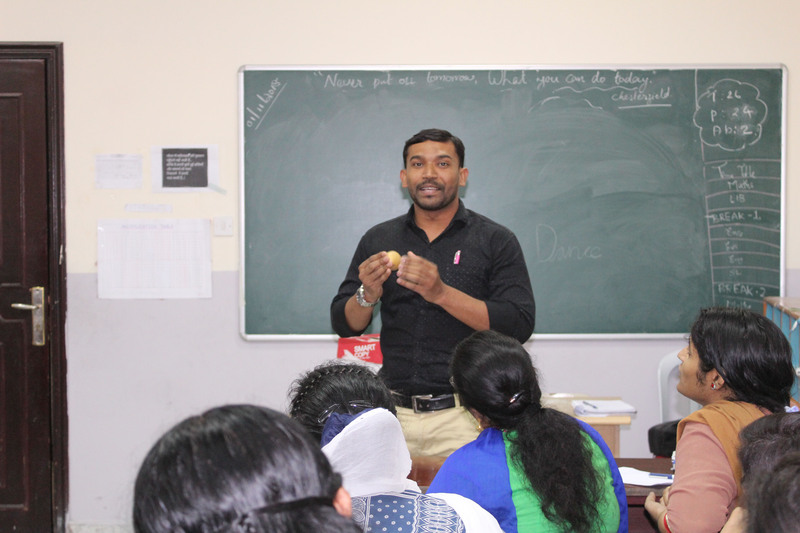 All the teachers participated very actively that helped them to be more confident and free of fear. 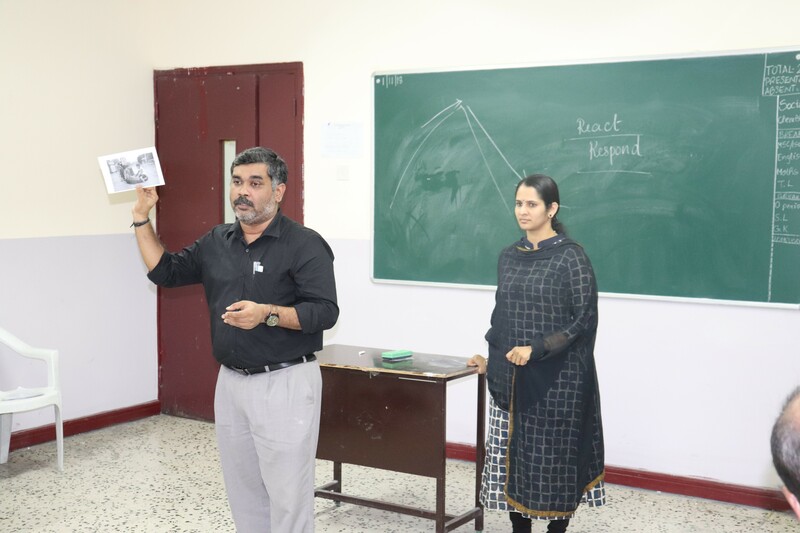 The tools and techniques applied in the session assisted the attendees to go beyond the demarcations to express and inspired them to break the feel of coyness in this realm of expression in front of a full-fledged gathering. The session really fostered the members to put forward their hidden gleaming ideas freely and incessantly. The two sessions glistened with variety of feedback and response which highlighted throughout the time allocated for this great mission. 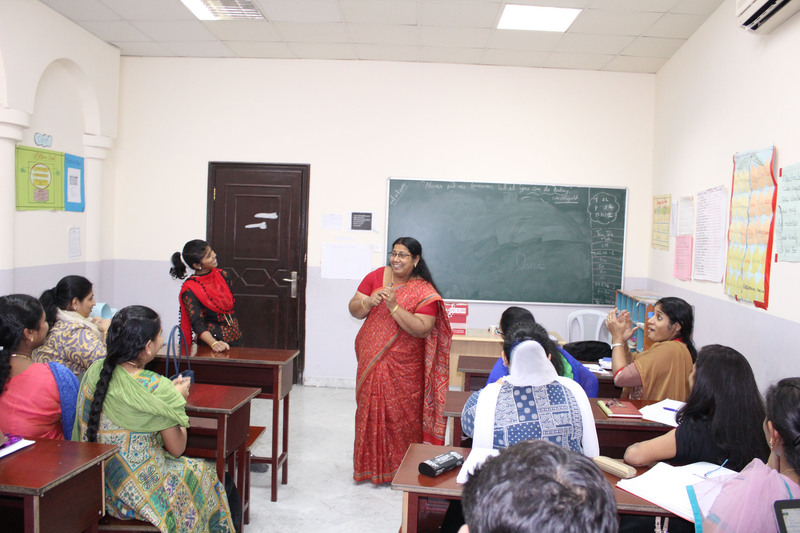 The Vice Principal, appreciated the participants and recommended them to apply these activities in the classroom. 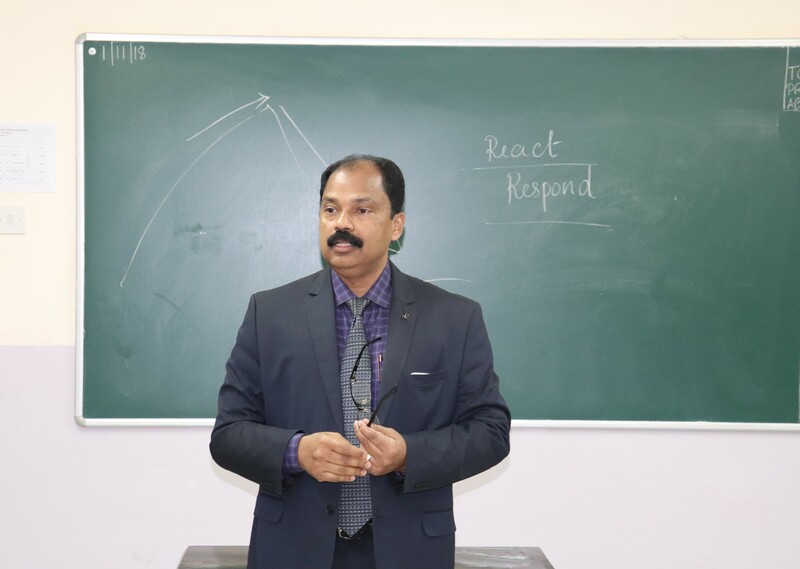 The Principal Mr.M.P.Philip congratulated the whole members of the Department of English for the top-notch presentation of activities.